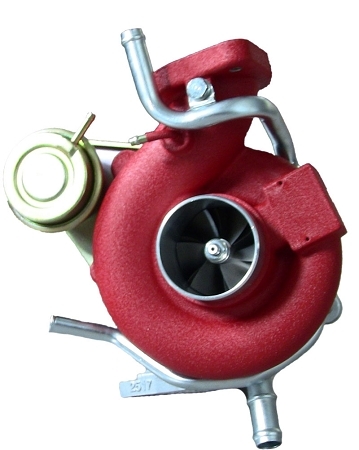 AMR's CXR500 Bolt-On Turbo for the 05-09 LGT is an awesome turbo that is sure to put a smile on your face. The CXR500 comes with a ported, 8cm exhaust housing and a ported, custom-cast compressor housing that that is designed to fit in the engine bay better than any other turbo of this size (no grinding or busting out a BFH to make something fit). 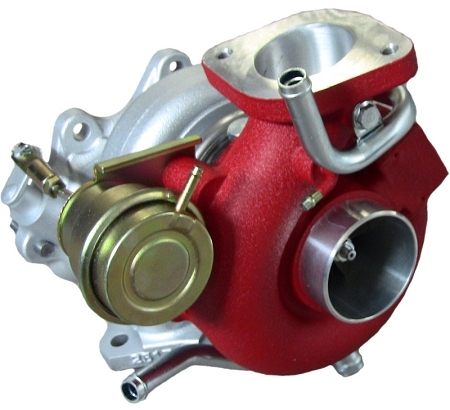 The CXR500 comes equipped with a 44lb compressor wheel. With the extreme porting on the compressor housing and thermal coated turbine housing, along with the large turbine wheel, gives the CXR500 a flow rate of 47 lb/min. This seemingly small increase in airflow allows the CXR500 to pull hard on top end of the rev-range without any loss of power on low and mid range. The AMR CXR500 is perfectly compatible with the OEM TMIC too! 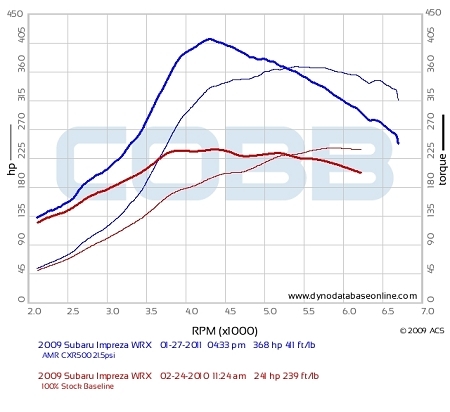 The CXR500 is most efficient when run between 20psi & 24psi and will produce 350-430whp when fully tuned with all supporting modifications.